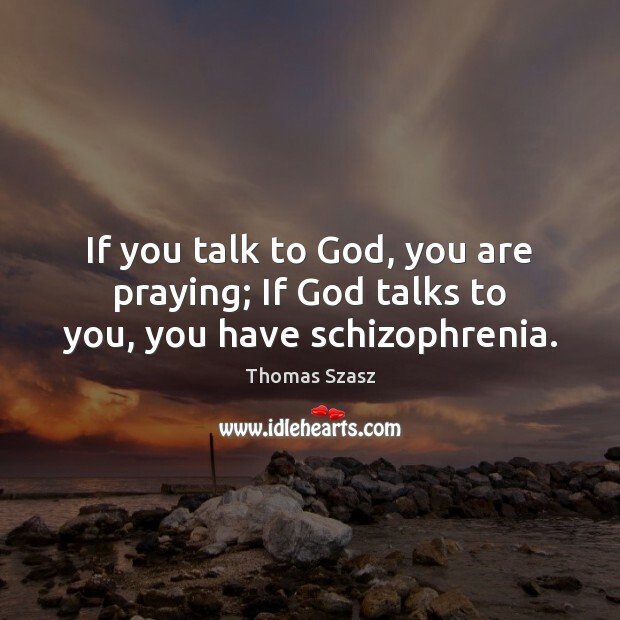 Quotations about Always Praying. Quotes to stimulate mind and drive action! Use the words and quote images to feed your brain inspiring things daily! 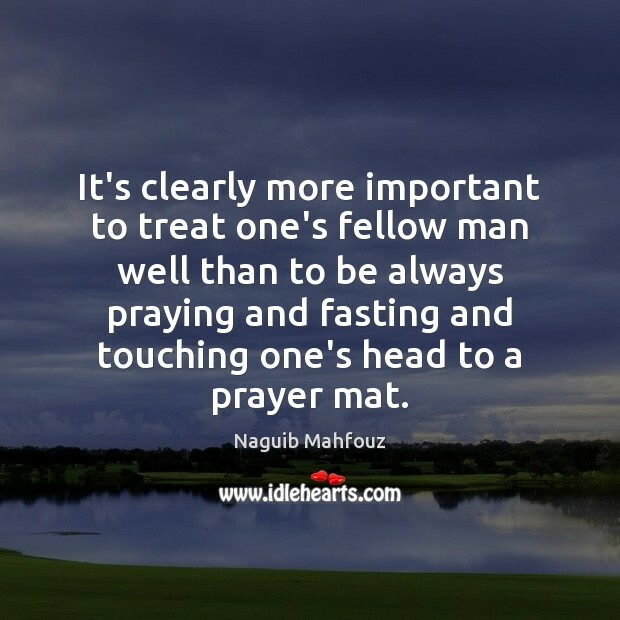 It's clearly more important to treat one's fellow man well than to be always praying and fasting and touching one's head to a prayer mat. 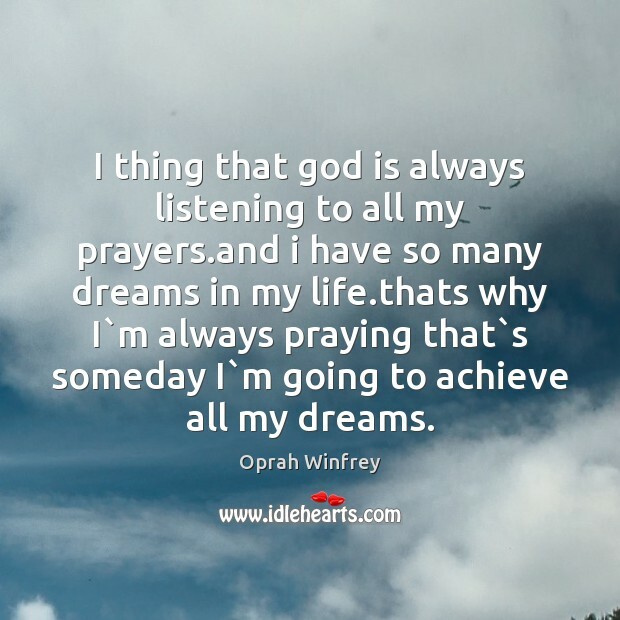 I thing that god is always listening to all my prayers.and i have so many dreams in my life.thats why I`m always praying that`s someday I`m going to achieve all my dreams. Prior to the meeting, there was a prayer. 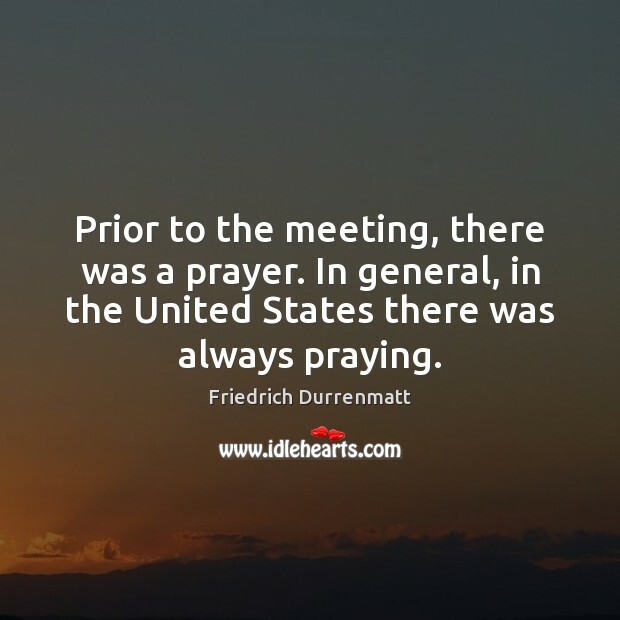 In general, in the United States there was always praying. 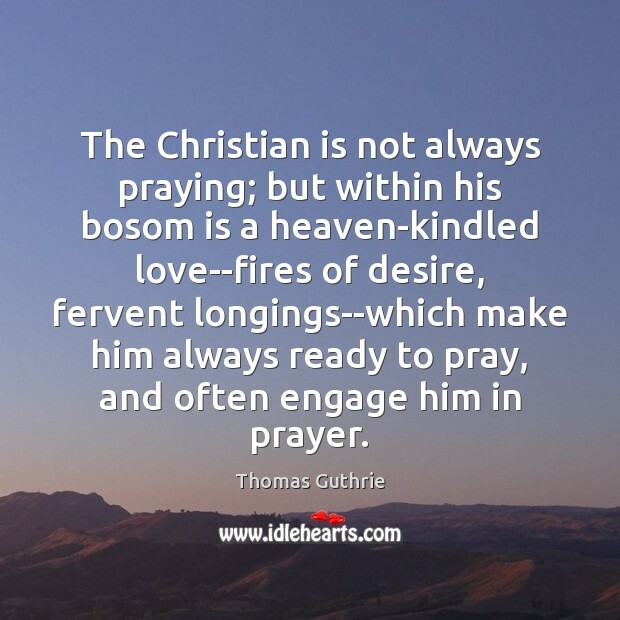 The Christian is not always praying; but within his bosom is a heaven-kindled love--fires of desire, fervent longings--which make him always ready to pray, and often engage him in prayer. You're always cursing, you're always praying and you're always making love. 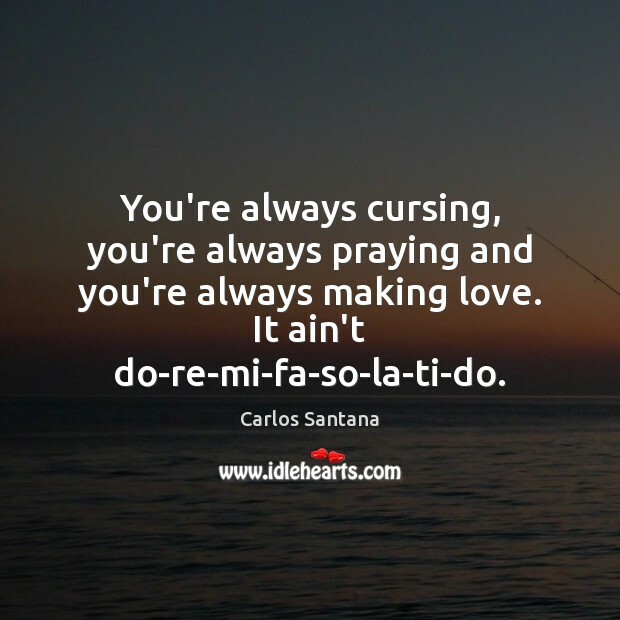 It ain't do-re-mi-fa-so-la-ti-do. 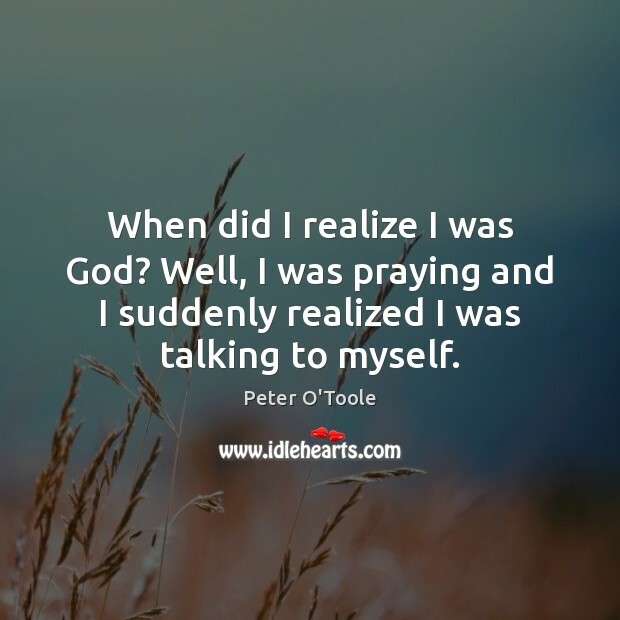 When we talk to God, we're praying. 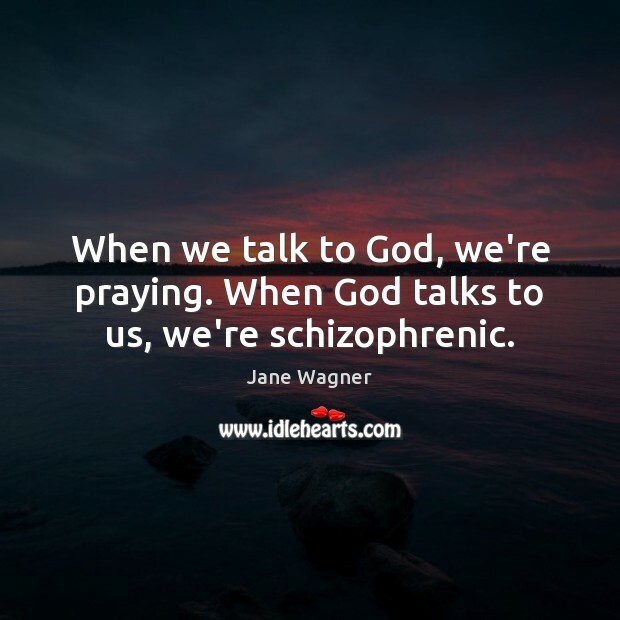 When God talks to us, we're schizophrenic. 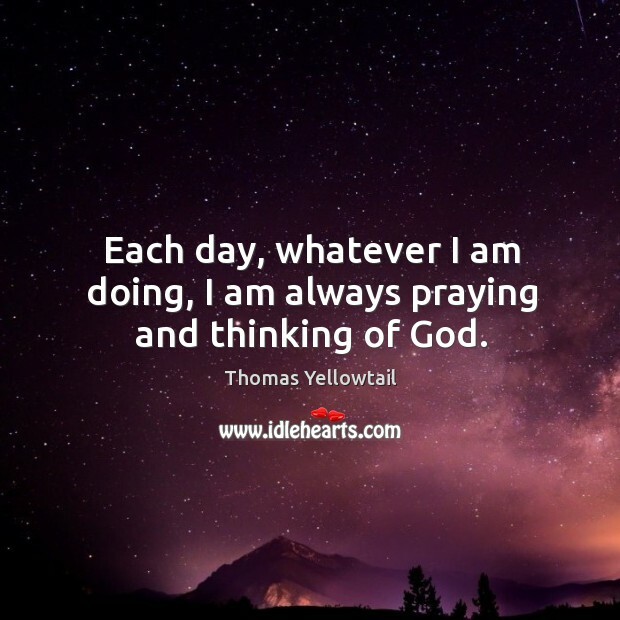 Each day, whatever I am doing, I am always praying and thinking of God. 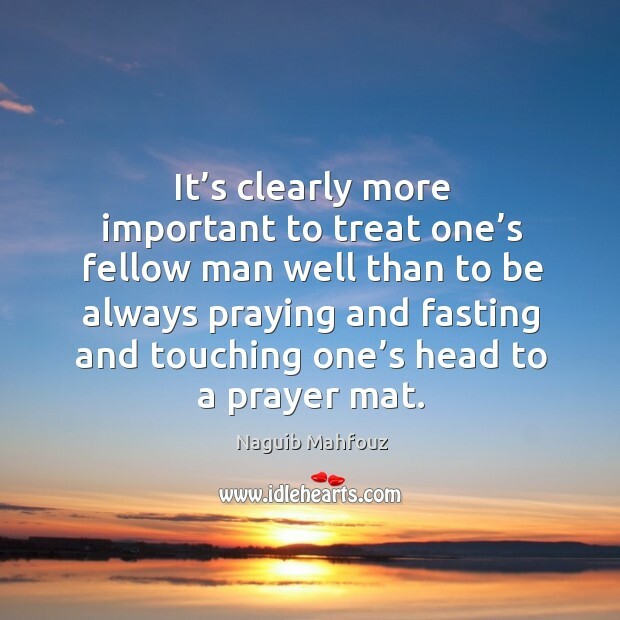 It’s clearly more important to treat one’s fellow man well than to be always praying and fasting and touching one’s head to a prayer mat.